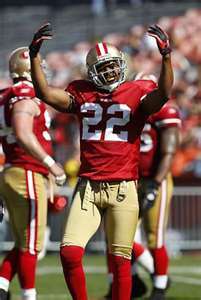 The 49ers were quietly active on the first day of free agency madness, as they added CB Perrish Cox and re-signed CB Carlos Rogers. The 49ers have now taken chances on two players who were not in the league last year, WR Randy Moss and Cox. Cox was drafted by the Denver Broncos in 2010 and played in 15 games for the team starting in 9. He was cut just after training camp last year because of charges of sexual assault being levied against him, which he was acquitted of. The signing of Cox also indicates that the team may not bring back WR Ted Ginn Jr. as Cox is also a very capable return man as well. Cox is in good shape and ready and willing to prove himself to the team, as he spent the season with his family and working out with his father. With the re-signing of Rogers the team is making sure to keep the secondary together, and adding Cox is them trying to improve it a little. Rogers deal is for 4 years and worth up to 31 million dollars. This is a pay day that Rogers has earned after the way he played last season, after the team signed him to a one year deal as a test drive of sorts. Now that day one of the frenzy is over and some of the dust has settled, don’t think for one second that the 49ers are done. While they don’t want to be the March Free Agency Madness Champions, there are a couple more moves they are trying to pull off. First would be making sure they bring back QB Alex Smith. The second would be going out and getting another receiver or two, now the crop has gotten smaller but there are still a couple quality guys left on the market for the 49ers to go after, like Chaz Schilens, and possibly Deion Branch. Let the madness continue. Podcast: Talking the 49ers, the Draft and More! 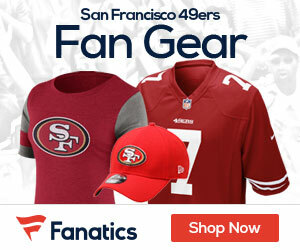 Be the first to comment on "49ers Ink CB’s Cox and Rogers"